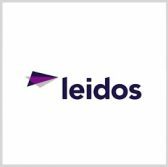 Leidos has secured a potential five-year, $45 million contract from the Transportation Security Administration to help manage and dispose of hazardous materials at more than 440 airport screening checkpoints. The company said Monday it will also provide regulatory support to help TSA comply with federal, state and local hazardous materials and hazardous waste regulations. Contract work also includes treatment, storage and disposal facility due diligence audits; management and operation of the Leidos-built HazOUT online documentation system; and emergency spill response support. Angie Heise, president of Leidos’ civil group, said the company will continue more than 13 years of support to TSA through the contract. The contract has one base year and four one-year options and work will occur at federalized airport facilities within the continental U.S., Alaska, Hawaii, South Pacific and U.S. Virgin Islands.